Turner Galleries is one of the largest commercial galleries in Perth. The gallery measures 18.3 x 10.6m, and can be divided into two gallery spaces using movable walls. Delivery, consignment and storage areas are located at the back of the complex, with an office and additional display room at the front. The Gallery displays a broad range of contemporary art that is unique, challenging, critical and/or experimental. This encompasses painting, printmaking, sculpture, installation, jewellery, and new technologies. The gallery is owned and directed by Helen Morgan, and managed and curated by Allison Archer. 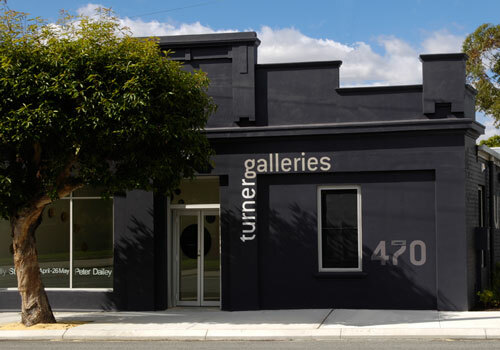 In March 2007 the gallery relocated and opened with the new name Turner Galleries. The newly refurbished 1920’s factory workshop is located at 470 William Street Northbridge, near the corner of Bulwer Street.